The women's wrestling team of Azerbaijan has won three medals at the Grand Prix in Nice, France. 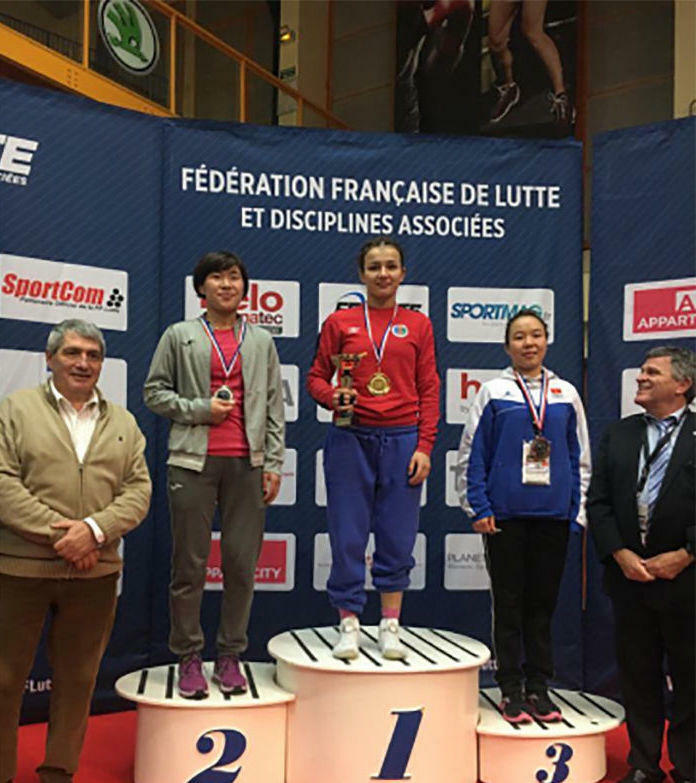 According to the report on the Azerbaijan Wrestling Federation website, Alyona Kolesnik (57 kg) and Irina Netreba (65 kg) have been awarded gold medals. Meanwhile, Sabira Aliyeva (76 kg) has won the bronze medal. The Azerbaijani team participated at the Grand Prix under the leadership of the head coach Aslan Agayev and coach Rovshan Umudov with the participation of athletes from about 10 countries. Azerbaijan was also represented at the Grand Prix by a third-degree international referee, Bashir Isazade. The Azerbaijani Wrestling Federation (AWF) was established in 1993 and was admitted to the International Wrestling Association in the same year. It is one of the collective members of the National Olympic Committee of Azerbaijan. Today the AWF combines three types of sports in the Olympic Games - freestyle wrestling, Greco-Roman wrestling and female wrestling. There are wrestling divisions in almost all regions of Azerbaijan and wrestling is one of the most popular sports in Azerbaijan. In the international arena, the AWF has won itself great respect and authority. High level of organization of the "Golden Grand-Prix" final stage, held in memory of Azerbaijani national leader Heydar Aliyev in June 2008, was highly appreciated by the leadership of the International Wrestling Federation. Azerbaijan left Rio de Janeiro with a total of 18 medals. Nine of these medals were distributed to the Azerbaijani team in wrestling. The Greco-Roman and freestyle wrestling have rich history and unique traditions. The elements of national wrestling can be encountered on the Gobustan rocks, in folk and classical literature, and sagas. The United World Wrestling (UWW) is the international governing body for the sport of amateur wrestling; its duties include overseeing wrestling at the Olympics. It presides over international competitions for various forms of wrestling, including Greco-Roman wrestling, freestyle wrestling for men and women, as well as others. The flagship event of UWW is the Wrestling World Championships. It was formerly known as the FILA 'International Federation of Associated Wrestling Styles), having assumed its current name in September 2014.